Earth and Faery. Where faeries dance and magic happens. Announcement Magic is afoot and wondrous things are being offered every day. 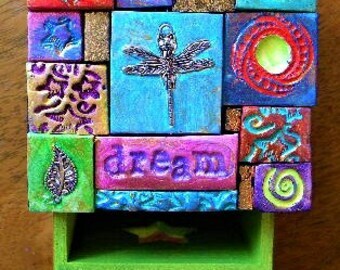 I love making intention boxes with polymer clay mosaics, and art journals. 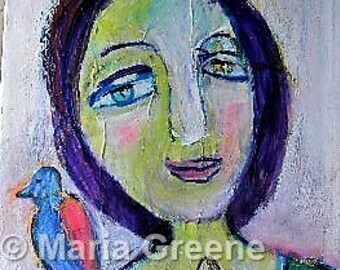 I also offer original spiritual art. Magic is afoot and wondrous things are being offered every day. 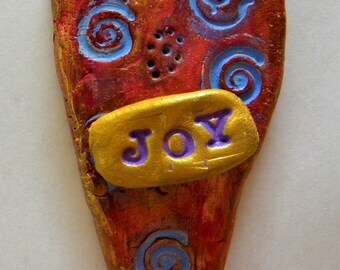 I love making intention boxes with polymer clay mosaics, and art journals. I also offer original spiritual art. Another really pretty spirit doll face! Asset to Etsy, will look great on my dolls, thanks for extra one! This beautiful original piece of art called out to me. She is even more beautiful in person than she looked on my screen. The colors are so vibrant! I just love this piece & have it in a place where I will see it & enjoy it daily. Thank you, Maria! The package came wrapped with great care to protect it & it arrived in beautiful shape. This little spirit doll is just exquisite. She is beautifully made & I love the little wish/prayer box attached to her back. Gorgeous detail; a very meaningful gift for anyone (she’s a gift from me to me.) I couldn’t stop smiling when I opened the package! Arrived very quickly & packaged very securely. Love it! Arrived quickly, in prefect condition. The faeries came around with the inspiration for this delightful little bag! Give your dream some wings by writing it down and put it in the intention box. This is a handmade art journal fashioned from Strathmore watercolor paper. Do you struggle to find a unique style and awesome backgrounds in your art journals? Magic with mosaics, clay, wood, and paper happens at Earth and Faery! Always fascinated by nature, I know that we all are part of the fabric of life and this wonderful Earth. I like to capture the dimension between the seen and the unseen, knowing there is magic afoot all the time if I'm willing to look. The wisp of the wind across my face, the colors of the earth, and the passion of living an intentional life, inspire me to create things that remind us of the connection to all, and that all is sacred. I make intention boxes, God boxes, original art, handmade art journals, and more.